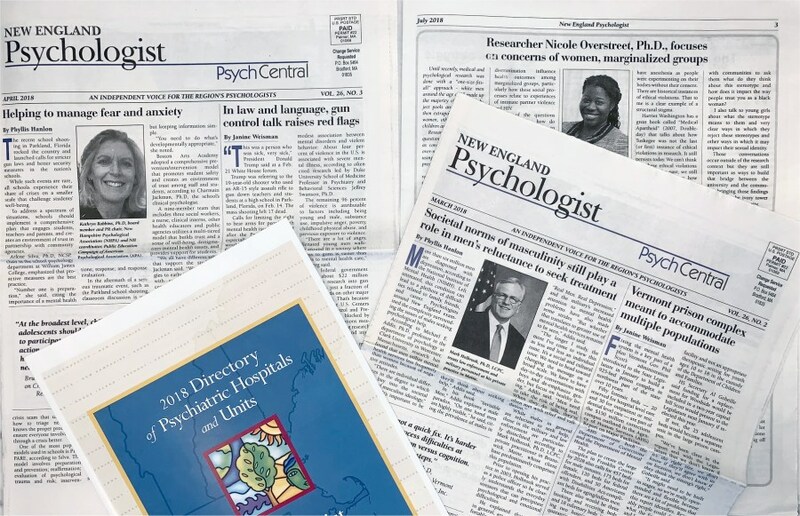 Grab a 1-year subscription to New England Psychologist, the award-winning publication you’ve come to rely on to keep up-to-date on clinical practice issues specific to New England psychologists. 50% discount! 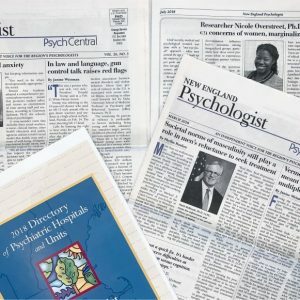 Subscribe to the print version of New England Psychologist today! New England Psychologist is an independent newspaper for practicing psychologists. Editorial content focuses on professional and business issues such as: legal & legislative concerns in the greater New England region, marketing psychological services, ethics and risk management issues, practice opportunities, future directions of psychology, Medicare issues, breaking news within the practice field, book reviews and more. Two special directories are included with every annual subscription: Psychiatric Hospitals & Inpatient Units (May issue), and Residential Schools (Oct issue). New England Psychologist publishes 6 to 10 times per year, with combined Jan/Feb and Aug/Sept issues (in the future, additional issues may also be combination issues). This is for a 1-year subscription. 50% discount for all first year-subscribers! While New England Psychologist has traditionally been free to subscribers in the past, due to the rising costs of postage and printing, we unfortunately have to begin asking subscribers to help pay for our ongoing, rising costs of production. If you do not start a subscription, you will lose access to this valuable print resource.